Outline stratigraphy of Graptolite-Bearing 3b (Lower Ordovician) Strata in the Oslo Region, Norway. 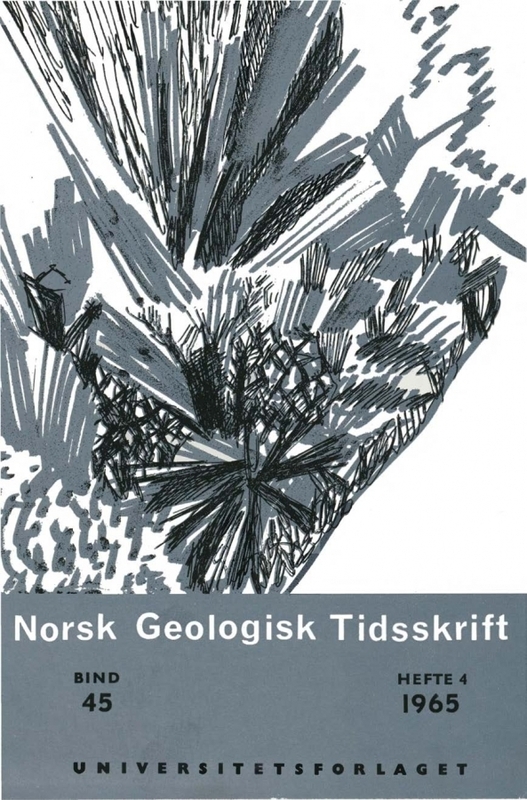 New material of 3b (Lower Ordovician) graptolites has recently been collected from a temporarily accessible excavation at Toyen underground station in the City of Oslo. The predominant shale formation of 3b encompasses three distinctive lithostratigraphical members first named here. On the occurrence and distribution of the genus Phyllograptus, three biostratigraphical zones could be delimited which approximately correspond to the lithological classification. This report will show the non-quantitative range of 26 well-known graptolite species and the main occurrence of about the same number of graptolites previously described by MoNSEN (1937) and SPJELDNÆS (1953). Some still undescribed graptolites are also provisionally mentioned. The distribution of these species throughout the 3b sequence did not give sufficient support to the previously established biostratigraphical zonation of corresponding graptolitebearing strata in the Oslo Region. The proposed new threefold division of graptolite-bearing 3b beds is more comprehensive than the former fivefold system and will be proved to be more relevant for correlation with other areas. The writer wishes to emphasize the preliminary character of the present report because future biometrical investigations of the fossil material will probably lead to a revision of many previously established species which are intentionally not included in this report.